They gained national publicity after the release of their first album, landing them live performances on the Paganfest in Dortmund. Ahnengrab soon played successful shows abroad. Mainly in France, Austria and Switzerland. In 2011, the band concentrated on composing new music, resulting in the February 12th 2013 release of "Omen" with their new label, Einheit Produktionen. "Omen" was recorded, mixed and mastered by Eric Krause and brought a new level of maturity to their sound. Krause upraised them to a new level of detail and intricate focus to their sound. The album was also honed by members of the state orchestra Brandenburg on cellos, violas and violins. The band remained true to its roots, but at the same time embarked on new paths and opened its musical horizons immensely. In terms of compositions, the musicians learned from the mistakes of the debut, and became much more well-rounded and respectable within the market. Ingo Tauer was hired to create the album as well and helped with this transformation process. 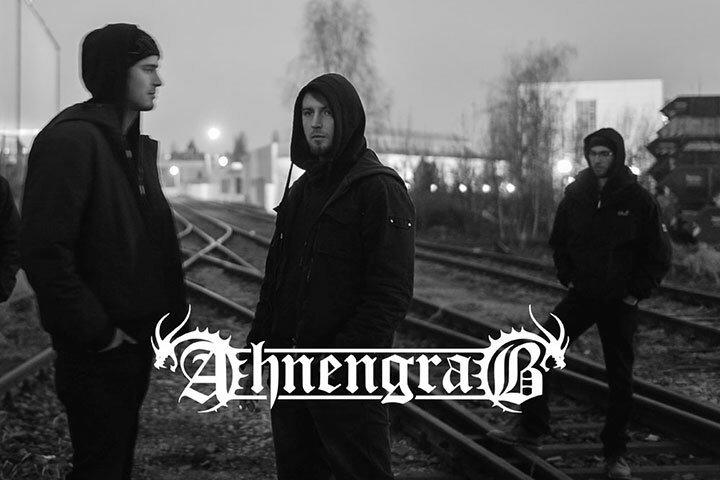 After the release of "Omen", Ahnengrab played a couple of shows and started the songwriting process for the third album shortly thereafter. During the writing of the third album, the bassist departed from the band and longtime friend Tom J. joined the group. After several club tours and smaller festival performances the songwriting took a backseat. Private life made it increasingly harder for the band to concentrate on the creative process as well. This ultimately led to a final live show in 2015. Ahnengrab then visited Agordas Studios in Dresden with André Groschopp (Agordas) mid 2016 to attempt a return to the creation of the third album. Further changes in line-up followed which required Sebastian Goldberg of Dresden in the Death Metal band "Agonize" to fill in with his creativity throughout the album. Years of song writing and the intense use of professional recording facilities made for a nearly 60-minute long opus entitled "Schattenseiten".